Evelyn-D hoop earrings by Ranjana Khan. 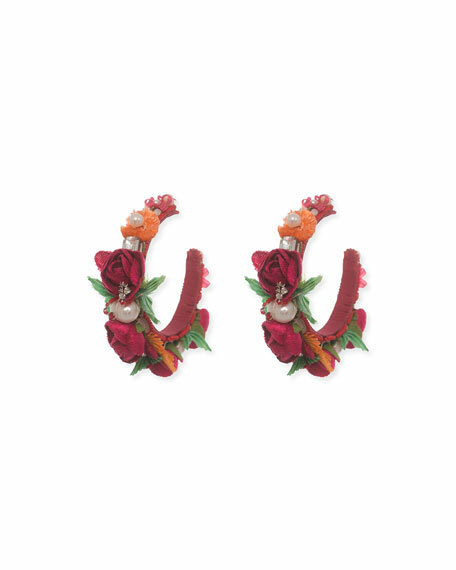 Tapered hoops with floral details. 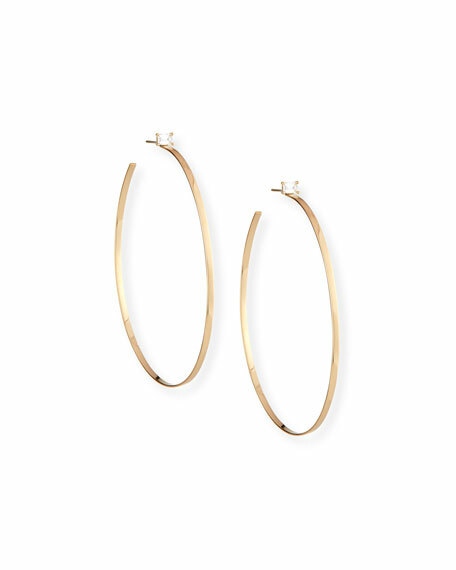 Jalus hoop earrings by Elizabeth Cole. 24-karat gold plated brass hardware. Glass stones and Swarovski crystals. Multicolor baguette-cut stations. Post backs for pierced ears. Made in USA. 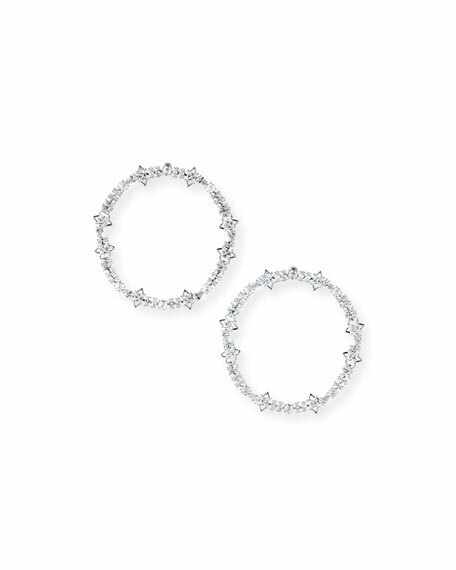 Jagged edge cheekbone hoop earrings by Fallon. Polished rhodium-tone plated brass hardware. Clear cubic zirconia pav hoops with spikes. Post backs for pierced ears. Made in USA. Marquis hoop drop earrings by Lele Sadoughi. 14-karat gold plating over brass hardware. Hand-swirled acetate posts and hoops. Surgical steel posts for pierced ears. Approx. 2.3"L drop. Imported.